Meet our newest awesome team members Jenna Skirten and Tara Carr. 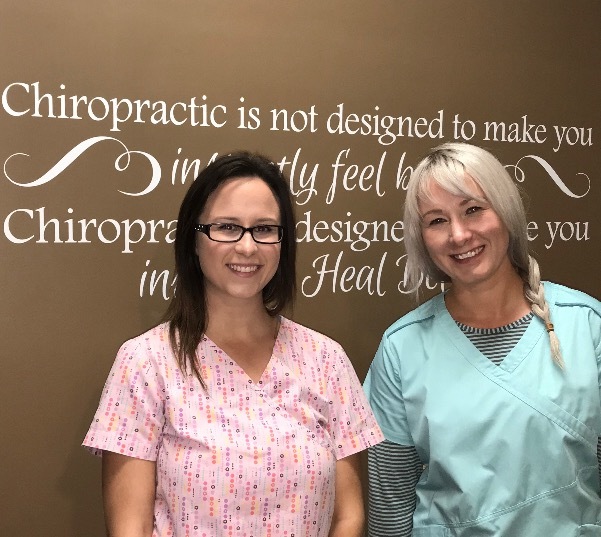 These beautiful, caring and compassionate ladies have become Chiropractic Health Assistants at our centre over the last year. They already have a wealth of information for patients with respect to Chiropractic and wellness. They will handle all of your concerns as a new patient in the office . They are also the experts who will perform your computerized spinal neurological scans. Please use them as trusted resources on your journey to wellness. Jenna, the eldest of three sisters, has a very positive attitude on what the body and mind want and need in life. She has excelled at educating the public about health and Chiropractic at health and wellness fairs around the city. She enjoys being active, spending time at the gym, going hiking, fishing and spending time at camp! Tara, always vibrant and friendly, is the most recent to join our team. One of three daughters, and having a twin sister Lisa, the girls have been raised in a family that believes in living a wellness lifestyle and in complimentary, natural ways of healing. Her mother has been a registered massage therapist for over 25 years. She enjoys any activity outdoors, spending time with her dog Knox, as well as reading and sewing. Cathy Nousiainen has been a chiropractic health assistant at the centre for 30 years and now works occasionally at the office. She is still very passionate about educating and assisting people to better health through Chiropractic! She has travelled to seminars extensively over the years and has a wealth of information for patients with respect to chiropractic and wellness. She and her husband Eric have raised their three wonderful children, Adam, Neil and Tarja in the chiropractic wellness lifestyle. 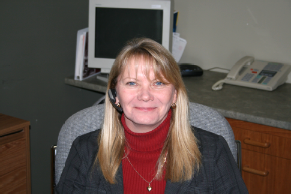 Cathy will handle all of your concerns as a new patient in the office and is also the expert who can perform your computerized spinal scans. Please, use her as a very experienced and trusted resource on your journey towards wellness!